When most families think about getting an SUV, it often comes down to how many passengers, how much cargo, and whether or not there’s a need to tow anything behind (such as a small boat or trailer). It’s here that the mid-size SUVs shine, so is it any wonder there are so many of them offered in the marketplace? But only a few really stand out with three rows of seating. 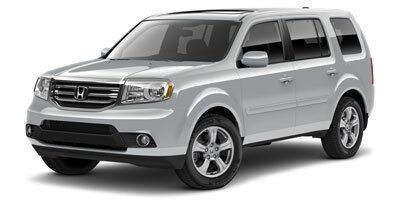 Here are the three best 2013 mid-size SUVs with 3rd row seating. Each is a Top Safety Pick from the Insurance Institute for Highway Safety (IIHS), a consideration factor that plays well with families of all sizes. 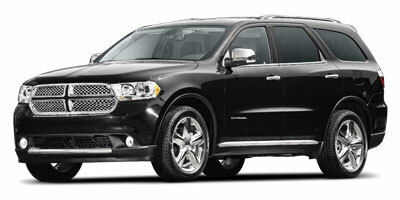 2013 Dodge Durango – With its aggressive, muscular styling, there’s no mistaking the seven-passenger 2013 Dodge Durango mid-size SUV. Actually, the Durango fits somewhere between the really large SUVs like the Ford Expedition and Chevy Suburban and other full-size crossovers like the GMC Acadia, Toyota Highlander, and others, although the IIHS groups it in the mid-size category. The easily accessible standard 50/50 split-folding third row offers surprising headroom and legroom for even six- footers, even more room than that in the Ford Explorer. Fold down the second and third rows, and the Durango provides space for up to 84.5 cubic feet of cargo. Power choices range from V6 to HEMI V8, although, for maximum performance with towing and hauling, as well as strong acceleration, opt for the V8. The 2031 Dodge Durango is available in four trims: SXT, Crew, R/T and Citadel, with starting prices from $29,495 up to $39,995. 2013 Ford Flex – Spacious and versatile inside, featuring genuine three-row spacing, refined ride, excellent optional EcoBoost V6 engine and available all-wheel drive, the 2013 Ford Flex can easily carry seven passengers. With its car-like ride and easy to get into and out of accessibility, the Flex allows families the versatility and spaciousness of a minivan without the accompanying stigma. It is still a boxy shape, which may take some getting used to. But the Flex has been significantly updated in exterior styling, as well as offering more standard or optional features, including adaptive cruise control, automated parallel parking assist, adaptive cruise control, keyless ignition/entry, blind-spot monitoring, and inflatable second-row seatbelts, to name a few. 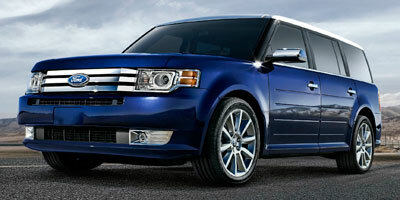 The 2013 Ford Flex comes in SE, SEL and Limited trims, with prices starting at $30,885 (SE), up to $39,230 (Limited). 2013 Honda Pilot – In the hotly-competitive mid-size SUV category, many choices are available – but few offer the ability to carry up to eight passengers in three rows with comfort and room to spare like the 2013 Honda Pilot. In fact, other than a minivan, there aren’t many SUVs today that can transport eight people and swallow the amount and size of cargo that the Pilot can – up to 87 cubic feet (with second- and third-row seats stowed). The Pilot may seem like a holdover with its boxy design, but inside and behind the wheel it acquits itself very well as a practical family hauler. A single 250-horsepower 3.5-liter V6 engine, paired with a five-speed automatic transmission is all that’s available, but that translates into 25 mpg highway fuel economy – a rarity in this class. Available in LX, EX, EX-L and Touring, and in front-wheel and all-wheel drive, the 2013 Honda Pilot carries starting prices from $29,520 (LX) to $41,270 (Touring AWD with RES, navigation).